Hello and welcome to the N.E.R.D. Lab website! We're so glad that you're considering volunteering your time to help us understand how children's brain development helps them learn effectively through language. In our research, children play fun, age-appropriate games in which they watch videos while listening to words. As they do this, we may examine where they look on the screen, or we may examine activity in their brain using one or both of the safe, non-invasive neuroimaging technologies described below. ​Electroencephalography (EEG) is a neuroimaging tool that measures electrical activity that brain cells produce with millisecond (every 1/1000th of a second!) precision. It fits like a swim cap and contains electrodes that record brain activity. We apply a mild, non-abrasive gel between the electrodes and your child’s scalp. After the EEG session, we have a hair-washing station that we can use to clean the gel out of your child's hair. Functional near-infrared spectroscopy (fNIRS) is a neuroimaging tool that measures activity in specific parts of the brain. To do so, it shines low-energy, eye-safe red LED light through the scalp and a portion of the brain to measure blood flow to specific brain regions. LED optodes can be inserted into the same cap used for EEG and do not require gel to apply. All of our studies are approved by the University of Alabama's Institutional Review Board, which ensures that they are ethical and safe. 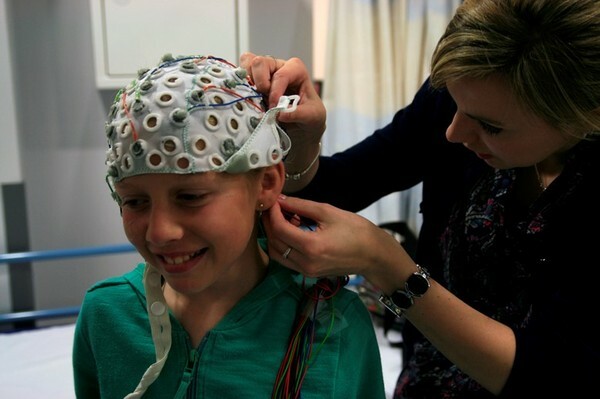 All of our researchers are trained in human subjects research and will work with your child to ensure that (s)he is as comfortable as possible and that (s)he has an enjoyable time during his/her visit to the N.E.R.D. Lab!